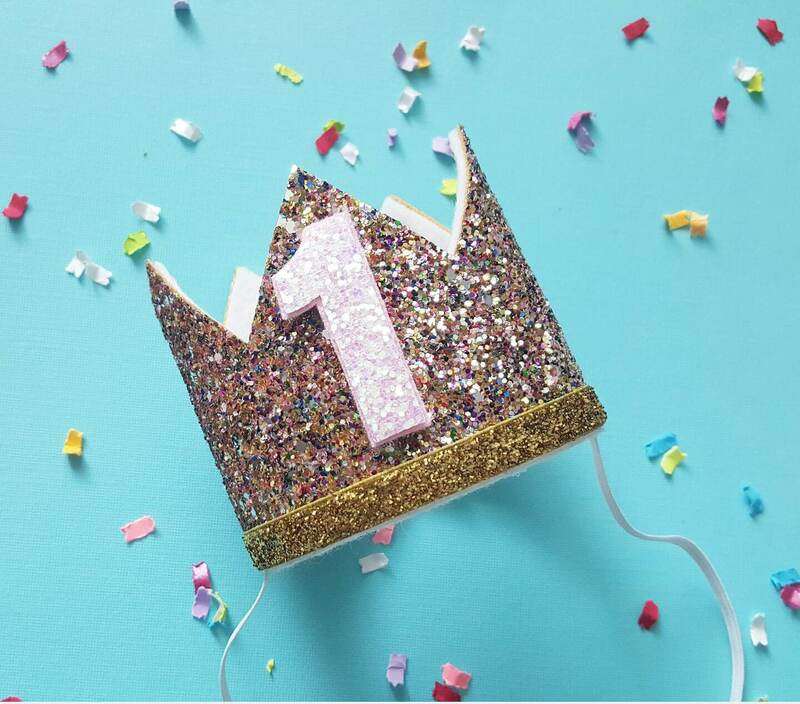 Birthday crown in confetti glitter Matetial lined with white felt with baby pink elastic headband. #1 in pastel ab and baby pink felt and gold trim at the bottm. Nearly broke my heart when I opened the box to find this crown. it's adorable and amazing -- so well made. I was thrilled with the purchase.